As a savvy club operator, you know that personal and small group training (SGT) represent the top profit center at most health clubs, studios, and gyms. IHRSA’s Fitness Training Report provides an overview and analysis of both personal and small group training users. In a previous article, we detailed how small group training attracts economically diverse consumers. According to the report, both personal and small group training also attract consumers from various age groups and ethnic backgrounds. Historically, personal and small group training utilization has mirrored health club members, which are typically Caucasian/White around 40 years of age. However, the IHRSA Fitness Training Report, shows unique distinctions in training participation behavior by age and ethnicity. Across ethnicities, Hispanics had the highest penetration rate of small group training participation at 44.7%. Hispanic club consumers also had the penetration rate for personal training at 17.4%. 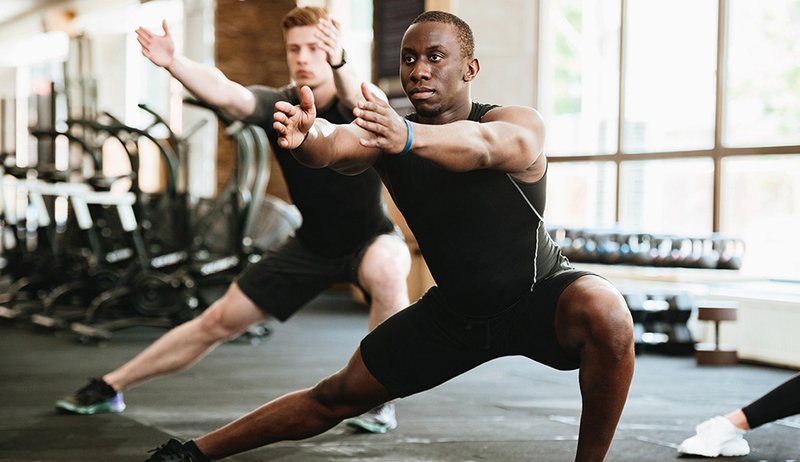 African-American/Black consumers had the second-highest penetration rate for SGT at 28.3%, while Asians/Pacific Islanders had the second-greatest penetration rate for personal training at 16.4%. Although Caucasian/White consumers claim the largest market share of both personal and small group training, the penetration rates for this group were 11.3% and 23.9% for personal training and small group training, respectively. Overall, health club-goers from ethnic minority groups have been more likely to engage in both personal and small group training. On average, the number of sessions members indicated using a personal trainer in 2016 was 26. With the exception of Generation X’ers, the number of personal training sessions was relatively comparable across age groups. Generation X clients between the ages of 45-54 were more likely to engage in personal training more frequently, at an average of 32 visits. The average fee club-goers paid per hourly session of personal training in 2016 was $65.86; the average fee paid per hourly session of small group training was $33.96. Boomers and Silents paid the least, on average, for both personal and small group training sessions. In 2016, the average fee paid among Boomers between the ages of 55-64 for personal training was $48.49. Older Boomers and Silents ages 65 and older paid an average of $34.25 for personal training. The lower fees paid for personal training can be understandable as many of these consumers may be on fixed incomes.